Ford of Canada logged its best April sales performance since 1989 last month when it delivered a total of 30,401 vehicles across the country. Helping guide the automaker to its best April in 18 years were record performances from the F-Series and the Canadian-built Edge, both of which put up their best April sales ever, and the Transit Van, which saw its best month ever in Canada. Ford’s total sales were up 0.2% year-over-year at 30,401 vehicles. Total truck/SUV/van sales were up 6% year-over-year at 26,670 vehicles delivered, more than compensating for a 27.7% sales decline for cars. F-Series sales totaled 14,326 units, good for a 3% year-over-year increase and the best April on record. 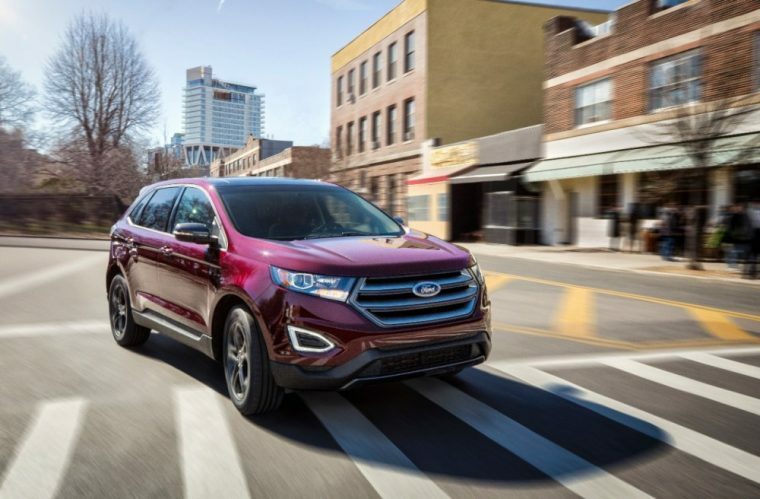 Edge sales were up 22% year-over-year, Escape was up 4%, Explorer was up 20%, Expedition was up 134%, and Transit Van sales were up 23%. Lincoln brand sales benefited from a 20% year-over-year increase for the Navigator, aligning perfectly with the debut of the next-generation model in New York. “In April, we introduced the all-new 2018 Lincoln Navigator establishing the most luxurious and spacious Lincoln SUV yet. With five all-new vehicles in five years, we look forward to continuing Lincoln’s brand growth in Canada,” said Buzzell. Through April, Ford Canada’s total sales are up 1.4% at 93,105 vehicles delivered. Car sales are down 20.3% at 10,751 units delivered, and truck sales are up 5.1% at 82,354 units.